HOW's Play interface is identical to that of Hollywood Strings and Hollywood Brass. It features a four-channel mixer for the different mic positions, with channel four switchable between ambient 'surround' and 'vintage' mics, the latter sounding somewhat thinner and brighter than the surround option. Mapped keys are marked in white, with keyswitches shown in blue. The third instalment of EastWest's grand orchestral master plan sees the project nearing the finishing line. It takes a special kind of commitment to individually sample every instrument and ensemble of the symphony orchestra. Amongst the brave souls who completed this arduous enterprise are Miroslav Vitous (who released the first full orchestra library back in 1992), Peter Siedlaczek, small-is-beautiful pioneer Gary Garritan, the mighty Vienna Symphonic Library and US sample veterans EastWest/Quantum Leap. 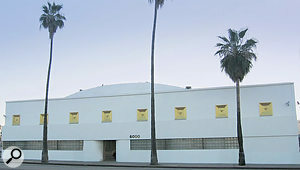 In the case of EastWest, the commitment begins to look like madness, as they have climbed this particular mountain twice: first in 2003 with their EWQL Symphony Orchestra, then again in recent years with the critically-acclaimed 'Hollywood' series, which so far has yielded Hollywood Strings and Hollywood Brass. 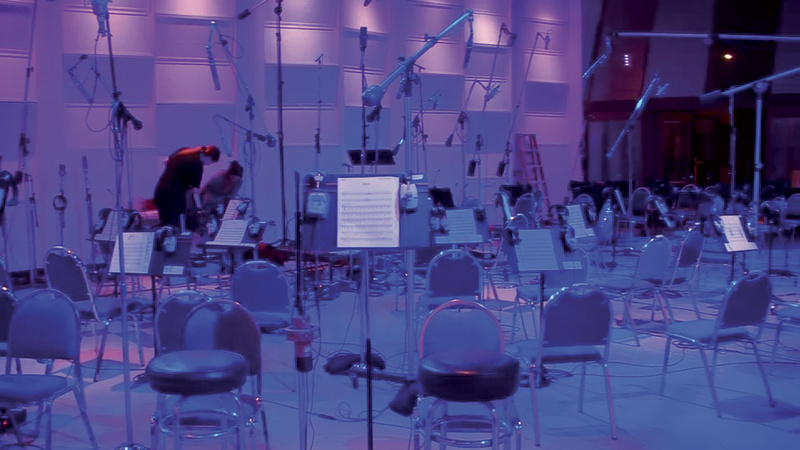 The third instalment of EWQL's four-part masterwork is now available: recorded (like the strings and brass before it) in EastWest's historic LA studio, Hollywood Orchestral Woodwinds has also benefited from the work of legendary sound engineer Shawn Murphy, a man whose movie soundtrack credits are so extensive that SOS have forbidden me to list them, for fear of causing a catastrophic printing-ink shortage in East Anglia. 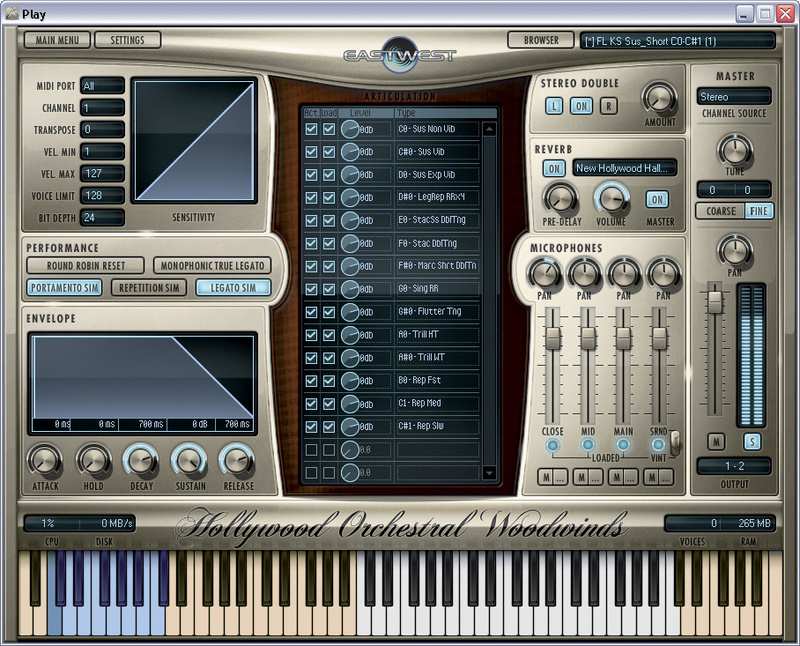 Hollywood Orchestral Woodwinds (HOW for short) runs on Mac and PC within EastWest's Play sound engine (supplied free with the library). The all-singing, all-dancing Diamond edition (133GB installed) provides five microphone positions and ships on hard drive; lower-priced, scaled-down Gold and Silver editions are also available (see the 'Diamonds Are Forever' box for a comparison of the three editions' contents). The microphone positions used are identical to those in Hollywood Strings and Brass. Like all EastWest Play titles, HOW requires an iLok USB key (not supplied with the library), which costs about £30$50. The hard drive used to supply the Diamond edition is a Western Digital 500GB bare internal type, so if you want to use it externally you'll need to buy your own drive enclosure (they're not expensive). Minimum and recommended system specifications are listed at www.soundsonline.com/Hollywood-Orchestral-Woodwinds. When the above-mentioned Mr Vitous stepped into Prague's Dvorák Hall to record his Symphonic Orchestra samples in the early '90s, he was about to unwittingly set a precedent: for the next 20 years, every orchestral library of note followed the Czech maestro's lead of recording three-player unison woodwind sections as well as solo instruments. Companies are finally beginning to move away from this model, and HOW dispenses with ensembles altogether, in favour of a comprehensive solo woodwind line-up of piccolo, flute, second flute, alto and bass flutes, the four members of the clarinet family, oboe, English horn, bassoon and contrabassoon. 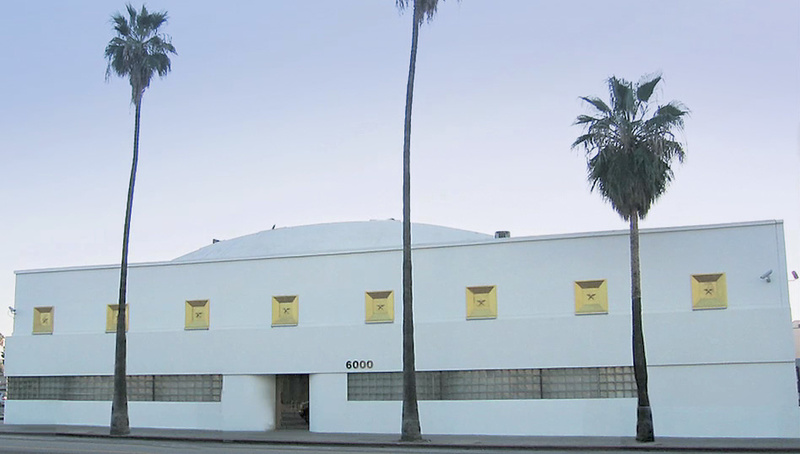 EastWest's studio (formerly known as Western Recorders) at 6000 West Sunset Boulevard. It's a rare treat to find the whole flute family housed within one library: having the complete set to hand means you can compose passages for two concert flutes, alto and bass flute in much the same way as you might write for a string quartet of two violins, viola and cello. I created a harmonised four-part chorale using the flute family's vibrato sustains, and was immediately impressed by their beautifully blended ensemble sound. All four instruments benefit from a warm, breathy yet clear timbre, a tasteful, lyrical vibrato style and excellent tuning. Heard in isolation, the first flute sounds splendid. Unfortunately, HOW's musicians aren't credited, but whoever was blowing air into this thing is clearly a fine player. Although its musical applications are necessarily more limited than a concert flute, the bass flute (pitched an octave lower) also has the kind of rich, sumptuous timbre that's crying out to be featured in arrangements, particularly if you use its wonderful 'expressive legato' style. The piccolo's low-register timbre arguably sounds a little dry, but since most composers would tend to favour a sweet-sounding flute over a piccolo in that range, it's not a showstopper. In any case, given the sharp bite of its staccatissimos, no-one will question this piccolo's ability to perform the traditional piercing high-end stabs and flourishes that can help electrify an orchestral arrangement. On a more subtle note, vibrato crossfade patches allow you to start flute notes with no vibrato and then gradually introduce it with the mod wheel. Pushing up the wheel also increases the overall volume, adding to the expressive effect. (Vibrato crossfade patches are also supplied for piccolo, alto flute, oboe, bassoon and contrabassoon.) Apart from offering slightly fewer articulations, the second flute is in no way inferior to the first; its somewhat more emotive delivery and marginally softer tone make it the perfect companion for flute duets, and, of course, having two different flutes means that you can give them unison notes with no fear of sample duplication! The flutes' three-dynamic legato patches provide an excellent platform for the kind of sinuous, unbroken, unhurried melody lines heard in the opening of Debussy's 'Prélude à l'après-midi d'un faune'. An unusual addition is the iconic 'singing' style, in which the player simultaneously sings and plays in unison: you'll have heard it in jazzy 1960s film soundtracks, and readers of a certain age may also recall its usage by the inimitable Ian Anderson of Jethro Tull, and Roland Kirk before that. I found the singing flute style worked best when layered with a legato patch, which helps to smooth over its note transitions. I compared HOW's excellent first flute to the solo flute in EWQL Symphonic Orchestra (Play edition). The first thing you notice is the concert-hall acoustic of the latter, clearly audible even in the close mic position; HOW's flute sounds a lot less reverberant, although adding a dash of Play's onboard convolution reverb will soon change that. The EWQLSO flute's vibrato is more underplayed, and it lacks the mod-wheel dynamic control that is a fixture in latter-day sample libraries. Nevertheless, it's still a highly usable, technically solid instrument, and if you're regretting HOW's lack of three-player woodwind ensembles, they can still be found in the EWQLSO library! A forest of mics set up in readiness for an EWQL orchestral sampling session. HOW's provision of Eb and contrabass clarinets makes the full compass of the clarinet family available to composers. These two specialist instruments have fewer articulations than the more commonly-used Bb and bass clarinets, but (as with the flute family) having all four in your palette is definitely an asset. The high-pitched Eb clarinet's effectiveness is reduced by some programming errors: four of the legato patches' five mic positions throw up a 'missing sample' error when you try to load them, and if you ignore the error and press ahead with the load, the patches are dysfunctional. A less obvious fault is that tuning discrepancies between dynamic layers on the legatos' C#5 and F#5 notes can clearly be heard when you perform mod-wheel crossfades. One hopes that these problems will be addressed in an update. On the plus side, the Eb clarinet's staccatos sound good and lively, and I also had fun using Play's portamento simulation (which adds a nice, subtle little pitch glide between notes) on its long notes. 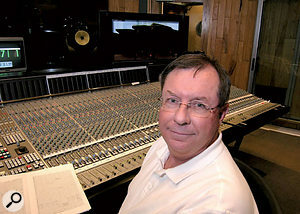 Shawn Murphy, the man behind the Hollywood orchestral series microphones. The assured, precise and unwavering delivery of the Bb clarinet establishes that this is another top-class player. Load the close mic position and you'll hear every detail of the musician's intimate, breathy, quiet performances, while a push of the mod wheel transforms them into a bright, cutting clarion call that can be successfully pitted against horns and strings at louder dynamics. Brilliantly-executed staccatissimos and sultry legatos make this a clarinet for all seasons. Matching its musical and tonal quality is HOW's bass clarinet, its fat, velvety tones captured in all their glory by the peerless Shawn Murphy. I was fortunate to be able to use a real contrabass clarinet in a film score a few years back. It's physically very large, not easy to play, and unsuitable for the quick, nimble lines you might assign to higher woodwinds. The strength of this magnificent instrument lies in playing slow-moving pedal bass notes, which it does with enormous, stately resonance and a dark richness of tone that immediately imparts a sense of sinister mystery. I can think of no better sound for underpinning a woodwind section. HOW's contrabass clarinet sounds absolutely great, and is played with unwavering accuracy all the way from its top note (Middle C) to an incredibly low Bb more than three octaves below. In keeping with orchestral (and orchestral sample library) tradition, HOW's clarinet family employ no vibrato, thereby maintaining a 'serious' classical atmosphere. Expression for these instruments is mainly achieved by dynamic variations, and as with all HOW's instruments, mod-wheel volume control enables users to perform highly effective crescendos and diminuendos. As a bonus, the Bb clarinet and bass clarinet also play 'expressive' sustains with a subtle built-in volume swell. While clarinets from different orchestral collections sound broadly similar, the tone of sampled oboes can vary dramatically, spanning a tonal spectrum from mellow to angular. I'd place HOW's oboe in the latter category, but that's not meant as a criticism: to my ears, its reedy, penetrating tone epitomises the classic oboe sound, and provides a great contrast with the more rounded timbre of the clarinet. The instrument's 'expressive' sustains and legatos excel at playing sad, lyrical melody lines, and its heartfelt, yearning vibrato greatly adds to its appeal. For me, the English horn is one of the highlights of this library. Its quiet notes are stunningly beautiful, to the point where you don't want them to end; a real player has to pause for breath, but you can hold these lovely, luxurious, looped samples forever, and to hell with realism! As with the oboe, the instrument is a great resource for plaintive melody lines, and once you've heard it I guarantee you'll want to feature it in your arrangements. It sounds great straight out of the box, and even lusher when you add two heaped tablespoonfuls of Play's 'Live Cathedral' reverb preset. The first question I ask of any sampled bassoon that crosses my path is, "Does its upper register extend high enough to tackle the solo bassoon intro of Stravinsky's The Rite of Spring?” The second question is, "Are its staccatos brisk and sprightly enough to play the 16th-note arpeggios in 'Danses des Adolescentes' (from the same piece) without sounding bogus?” I'm happy to report that in this case, the answer to both is a resounding 'yes'. Even if you're not as big a Stravinsky buff as me, you'll find HOW's top-notch bassoon to be more than adequate for all your symphonic needs. Just don't try to use it for heavy metal, OK? Rounding off HOW's 13 solo woodwinds is an imposing contrabassoon whose tremendously fruity, low-pitched sonorities come across with an irresistible combination of dignity and comedy. This is another instrument that instantly makes you want to compose music. MIDI mock-up experts often solemnly caution, 'Don't write for the samples', but how can you resist it when they sound this good? The contrabassoon player delivers all his or her performances with panache, and I appreciated the slightly overdone vibrato used in the marcato short notes, which I reckon is a deliberately ironic touch — its droll musical effect made me smile, anyway. As is the norm nowadays, all instruments have interval-specific legato patches to facilitate the programming of properly joined-up melody lines. HOW offers a choice of auto-tempo or velocity-speed legatos: the first type adjusts interval start times and envelopes based on how quickly one note follows another, while the second manipulates those parameters based on the velocity of each individual note. Faster speeds and higher velocities produce shorter transitions. In practice, the difference between these techniques is very subtle but, as far as I could tell, the velocity approach felt the more natural of the two. HOW's basic 'legato slur' style works well for all but very fast playing: when notes reach a critical speed, the legato transitions sometimes appear to lag behind the action, producing fleeting but audible note overlaps. 'Legato slur runs' specifically designed for fast runs are of some help in this area, but work only on semitone and tone intervals. Despite claims in the manual to the contrary, I found that moving from fast notes to a held note with this type of patch consistently threw up bumps and glitches, one example being the piccolo's mordent-like G#5 to A5 transition. For slower passages, polyphonic, three-dynamic 'legato slur repetition' patches (which use four round-robin, re-tongued samples for note reiterations) are a useful stylistic variation. The same six instruments also play fast 16th-note repetitions, with varying results: the bassoonist is staggeringly precise, the flutes stay in the pocket but the oboist struggles to play the faster reiterations in time. These repetitions are sync'ed to Play's 'Engine Tempo Sync' setting (found under 'Current Instrument/Advanced Properties'). Sad to report, another programming blooper has resulted in the clarinet note repetitions not loading. Doh! No such bugs affect the very nice semitone and tone trills played by most instruments, which are all looped, apart from the oboe's contribution. Freed from the tyranny of charts, the players improvise a large array of musical effects, including bird-like twitters and flutterings, wild swoops and breath noises, overblown clarinet notes and fabulous bass clarinet avant-garde meanderings and growlings, providing us grateful composers with many inspirational options for moody, creative soundtrack work. HOW got off to a shaky start after a dispute between Quantum Leap and EastWest erupted in July 2012, resulting in production team members Nick Phoenix and Thomas Bergersen temporarily suspending their editing and programming work on the library. As a result, some felt (and I would agree with them) that the technical presentation of the first version of the woodwind library failed to achieve the standards set by EWQL's Hollywood strings and brass libraries. Fortunately, the legal shenanigans were resolved and Phoenix and Bergersen are back in their programming seats with co-producer credits reinstated. The happy ending for all concerned is that HOW v1.0.5 (the version reviewed here) can now be considered to be on a par with EastWest/Quantum Leap's other Hollywood orchestral titles. Three laps down, one to go: all that remains is for EastWest to release Hollywood Orchestral Percussion and the race will be over. Having spent years slaving over the mind-boggling quantity of samples contained in the four volumes, the production team must be anticipating that prospect with relish. As they approach the finishing line, we look forward to the completion of a sampling marathon that's set to yield a massive and comprehensive pro-quality orchestral library capable of delivering breathtaking musical results. Woodwind-only libraries are currently enjoying a renaissance. Orchestral Tools' large Berlin Woodwinds collection has the advantage of second instruments for all its main woodwinds, a comprehensive collection of scale runs, and phrase-building capabilities, but it lacks the trio of specialist instruments found in HOW. Those instruments can be found, along with standard instruments, ensembles and additional/alternative woodwinds in Vienna Symphonic Library's expansive Woodwinds Bundle, but that collection isn't cheap. For those with smaller hard drives and wallets, Cinesamples' Cinewinds Core and Cinewinds Pro libraries collectively feature a complete set of orchestral solo woodwinds and a selection of ethnic and period winds (some of which play phrases), all recorded from five mic positions. However, the Cinewinds libraries lack ensembles, second instruments and octave runs, and their articulation menus are fairly restricted. Hollywood Orchestral Woodwinds is available in three forms: the 24-bit, surround-ready Diamond Edition is optimised for pro users, while the 16-bit Gold Edition exactly matches the Diamond's musical capabilities but is limited to a single 'mid' mic position. For those operating on a tight budget, the downloadable, budget-priced Silver Edition omits the second flute, alto and bass flutes, Eb clarinet and contrabass clarinet and contains essential articulations only. Nevertheless, its instrumentation of eight solo woodwinds and well-chosen articulation menu are well up to the task of creating professional-sounding arrangements. Should you later change your mind, upgrades from Gold to Diamond, Silver to Gold and Silver to Diamond editions are available. A comparison chart for the three editions is shown below. A complete orchestral instrumentation of 13 solo woodwinds performs a wide range of articulations. 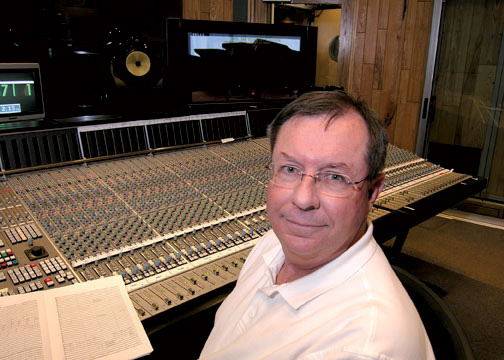 Recorded from five mic positions in a classic Hollywood studio by an award-winning engineer. Includes uncommon instruments such as the bass flute and contrabass clarinet. No woodwind ensembles — but do we need them? Despite several updates, some programming errors remain. Hollywood Orchestral Woodwinds Diamond Edition €760; Gold Edition €479; Silver Edition €149. Prices include VAT. EastWest / Soundsonline Europe +31 20 4041 687. Hollywood Orchestral Woodwinds Diamond Edition $795, Gold Edition $475, Silver Edition $199.